Last week, the Minnesota Twins received the worst injury news of the season. It was announced that left-handed reliever Glen Perkins, who had been out since early April, was going to have season-ending surgery on his left shoulder to repair a torn labrum. Up until that point, the Twins had been optimistic that Perkins would be back on the mound this season. The two months of rehab for Perkins saw several setbacks. The latest was Perkins’ discomfort when he was throwing from a mound. As a result, he sought out a second opinion early last week from Dr. Neil AlAttrache, based in Southern California, who will also be performing the surgery in the coming days. As part of the surgery, the rotator cuff will also be examined. It is believed that the injury was caused by normal wear and tear and not from any specific incident in the past year. The Twins are optimistic that Perkins will make a full recovery by next Spring Training, as long as he does the rehab. Whether or not Perkins is back to the All-Star closer he was remains to be seen. Perkins is owed $6.5 million next year, the final year of a four-year $22 million contract. With Perkins out, the closer role in the bullpen appears to be for the taking at this point. Kevin Jepsen had filled in for Perkins’s closer duties, but he has been shaky. Recently, left-hander Fernando Abad and right-hander Brandon Kitzler have that role. Terry Ryan has also suggested that relievers Ryan Pressly, Trevor May and Michael Tonkin are also potential replacements. 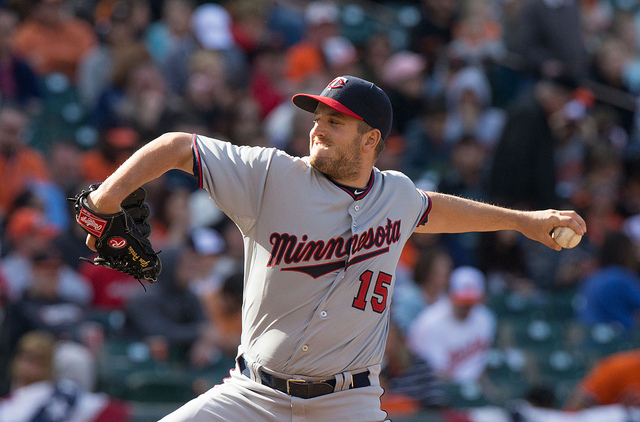 It appears that Glen Perkins’s future with the Twins may be full of question marks. We will have to wait and see how he recovers from this injury. The one thing that is for certain going forward: this is one more opportunity for someone on the team to prove himself with a given role. Troy has never seen a baseball game, but he’s a baseball fan. The fact he’s blind and hears with a cochlear implant hasn’t stopped him from following his favorite team, the Minnesota Twins. Not only that, but he’s a walking encyclopedia of baseball history. He can tell you who won every World Series since 1920. A life long resident of Burnsville, he holds a Bachelors Degree in Mass Communication from Minnesota State University, Mankato. He is following his passion in radio broadcasting by hosting a weekly Minnesota Twins Podcast called Troy’s Twins Chat. Although baseball is Troy’s biggest passion, he will also write about the many other topics that interest him.